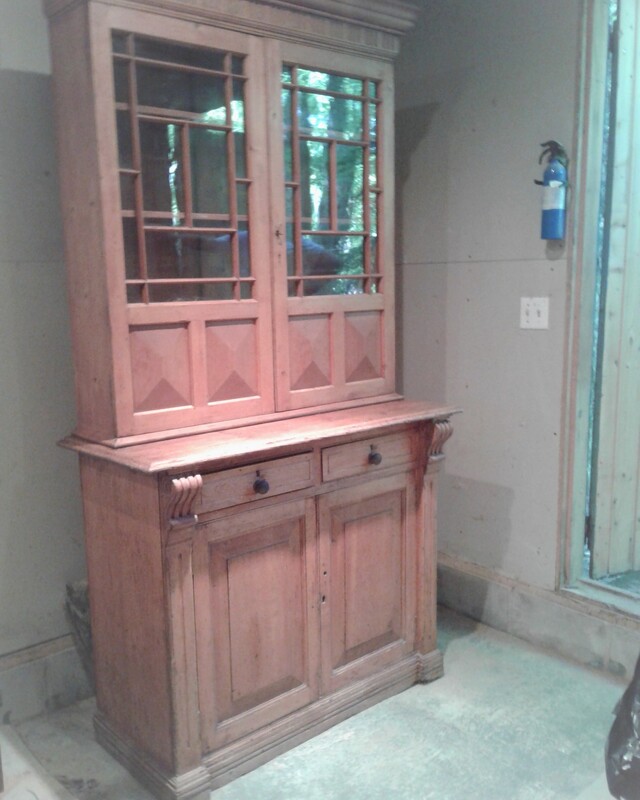 Outstanding Pine Cupboard in Refinished Condition. Decorated columns below, diamond point panels in upper doors, nice glazing pattern and strong cornice. 3rd Quarter, 19th Century. Nice size and great condition.